INS hosted a visiting delegation from Thailand on Friday, 13th July, 2018. 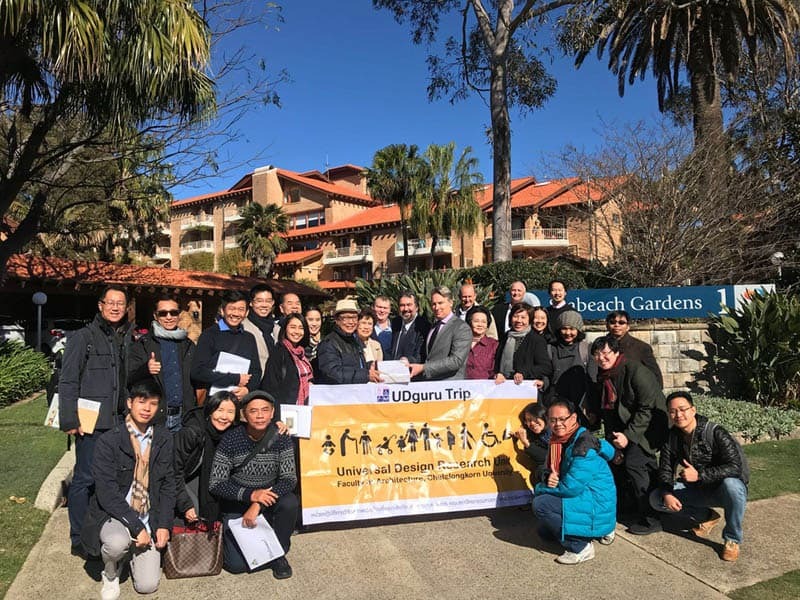 The group, known as UDguru (Universal Design Research Unit, Chulalongkorn University), included over 30 Thai government representatives, professors, developers, marketers and others who were interested in Independent Living in Australia, and the adoption of technology within retirement villages and aged care. 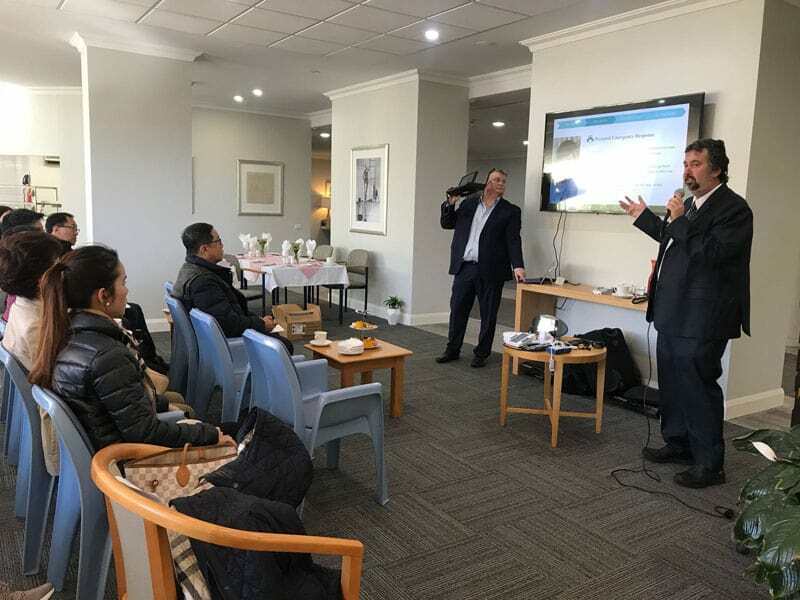 INS arranged for the presentation to be held at Baldwin Care, Seabeach Gardens, Mona Vale. Paul Burkett, CEO of Baldwin, also presented and took the group for a walk around the village. We received tremendous feedback with quite a few delegates commenting that the presentation was immensely interesting and worthwhile. 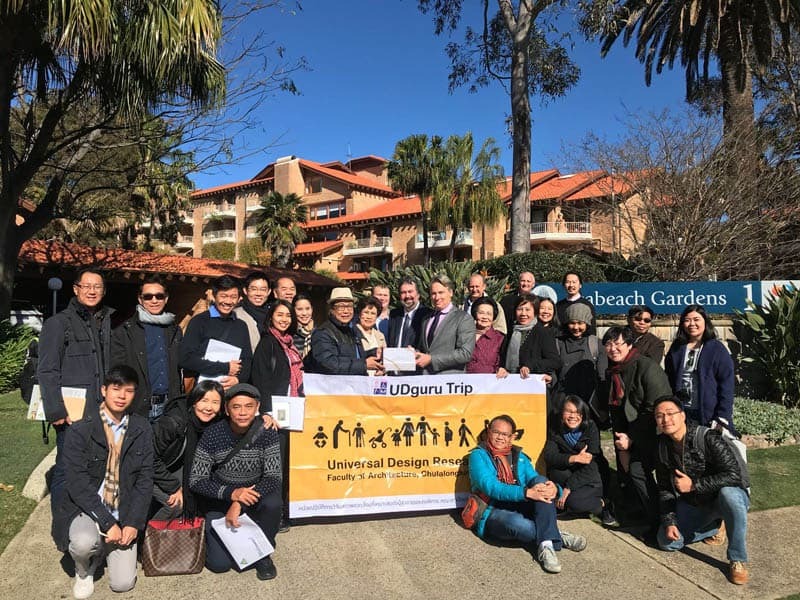 A number of leads were generated, and the group kindly provided these photos from the event. 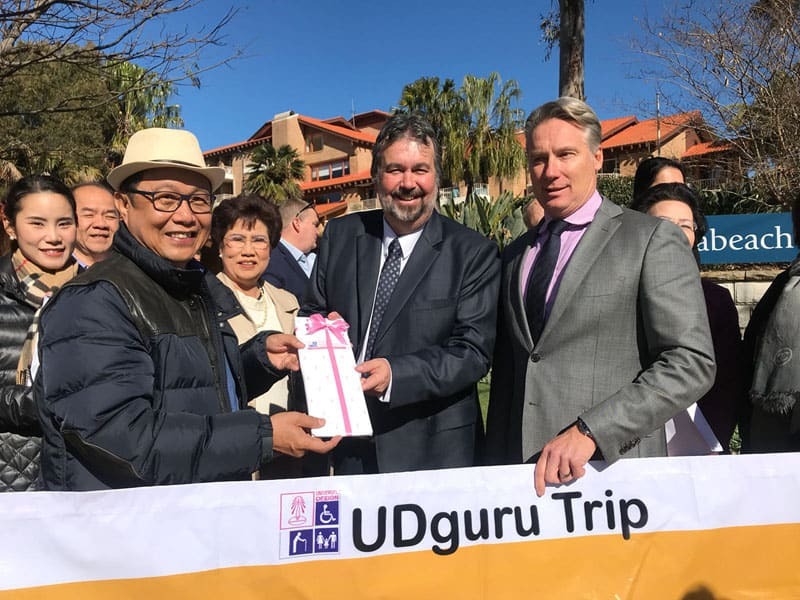 Members of the Thai Delegation with Claude Rafin, Managing Director of The INS Group (centre) and Paul Burkett, CEO of Baldwin Care (right). Claude Rafin, Managing Director of The INS Group, gives a presentation on our LifeGuard SmartHome System.